STADTRADELN is a further example of the “Climate Alliance”, the largest network of cities, municipalities and counties for the protection of the world’s climate, with over 1,700 members in 26 European countries. 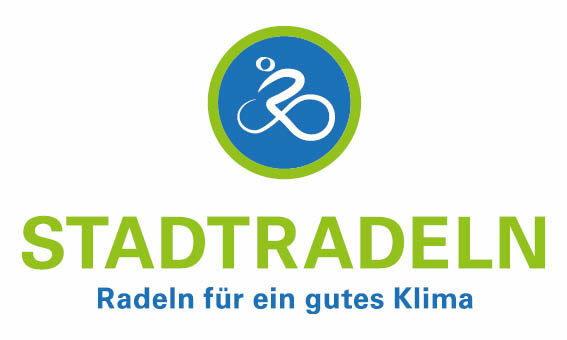 STADTRADELN is used for climate protection as well as for the promotion of cycling, and can be carried out or used by all municipalities (cities, municipalities, counties / regions) all over Germany for 21 consecutive days – freely selectable between 1 May and 30 September. The campaign provides municipalities with a tried-and-tested, easy-to-implement measure to become active in the important area of communication / public relations for sustainable mobility with relatively little effort and resources. The aim of the campaign is to sensitize citizens to the use of the bicycle in everyday life and to contribute the topics bicycle use and bicycle traffic planning to the municipal parliaments more intensively. Local politicians as the local decision-makers in the area of cycling are to be “literally” experienced in the truest sense of the word, which means that they are on the road in their own municipality and then initiate measures to improve the traffic situation for cyclists. realize. In addition, politics should play its role model and use it to encourage others to cycle through positive examples. The STADTRADELN is designed as a competition, so that the theme of bicycle is put forward with fun and enthusiasm. We are looking for Germany’s most bicycle-active municipal parliaments and municipalities, as well as the hardest teams and cyclists in the municipalities themselves. Members of the municipal parliaments compete in teams with citizens. As a team captain, they are most likely to appear at the STADTRADELN in order to take a positive example of the increased use of the bicycle by their fellow citizens. Within 21 consecutive days they collect as many bicycle kilometers as possible – both professionally and privately. School classes, associations, companies, citizens, etc. are also invited to form their own teams. During the three-week action phase, the cyclists book the kilometer-friendly kilometer kilometers via the so-called Online Radelkalender, an internet-based database for the recording of cycle kilometers. The results of the teams as well as municipalities are published on the STADTRADELN website so that team comparisons within the municipality as well as nationwide comparisons between the municipalities are possible and provide additional motivation. The services of the individual participants, with the exception of STADTRADLER STARS, are not publicly displayed. The STADTRADELN can be flanked or advertised with a variety of measures, in order to draw attention to the advantages of sustainable mobility. The organization of a cycling event with bike tours, information stands, panel discussions, etc., offers the opportunity to sensitize citizens to bicycling with different offers and to promote additional cycling aids. An idea collection, which measures municipalities to the STADTRADELN can organize, is to be found under materials. Counties / regions can participate regularly in the STADTRADELN, ie they are listed individually in the results overview, thus they have their own profit chance and receive their own bottom with local-specific information, etc. f desired, the corresponding cities or municipalities of a county / region can be listed separately (in the case of the communal registration indicated under registration), this does not necessarily have to be all. If a city / municipality (always indicated by the addendum “Mustergemeinde im Landkreis XY”) and the corresponding county / region are involved, the kilometers are credited to both the city / municipality and the county / region. A prerequisite for this is that the STADTRADELN must take place at the same time as the county / region and the associated city / municipality!